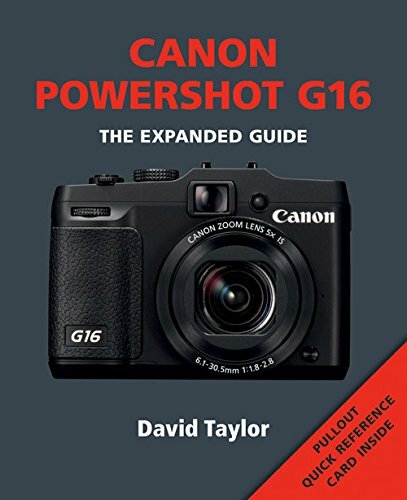 The Canon PowerShot G16 compact digital camera is the successor to the successful G15 and the first in the G-series to come equipped with built-in Wi-Fi. This facility makes it ideal for sharing images and video on social networking websites, or via email through the Canon Image Gateway. Images can also be uploaded using the maker's compatible iOS(R) or Android(t) device with the download of a free Canon CameraWindow app. The G16's 28 - 140mm wide-angle lens has an aperture range of f/1.8 - f/2.8, making it ideal for shooting in low-light conditions or for capturing a dramatic shallow depth-of-field with soft backgrounds. The camera features Canon's HS System, which combines a DIGIC 6 image processor and a 12.1-megapixel High-Sensitivity CMOS image sensor. Autofocus (AF) times and reduced shooting lag are improved over previous G-series models and continuous shooting speeds of up to 9.3 frames-per-second are possible. New shooting modes include Star mode for capturing the night sky: Star Nightscape will capture stars in a landscape image, while Star Trails will capture trails of stars in a still image; Star Time Lapse Movie will shoot continuous still images of stars and combine them into a video that replicates the motion of the stars in the sky. David Taylor is an award-winning landscape and travel photographer, born and raised in Newcastle upon Tyne, Tyne & Wear. His work has taken him all over the world, but away from his photographic career David lives on an exposed hill, overlooking the market town of Hexham in Northumberland.